Daging is the Indonesian word for meat. 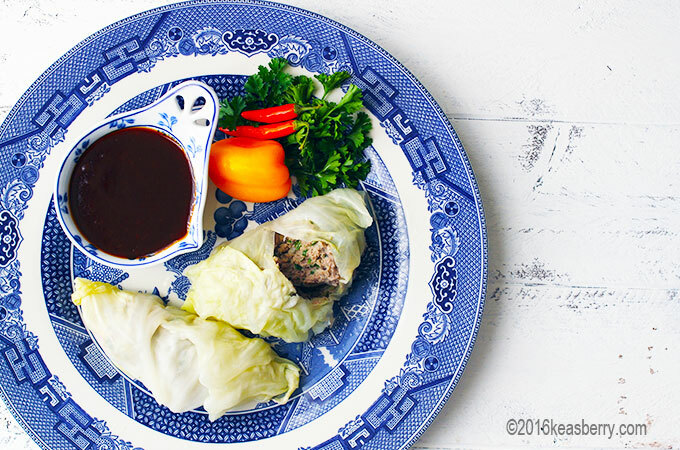 This is a steamed meat dish served with brown sauce. There are some health benefits as this dish is steamed and not fried. This stuff is really good! Mix the ground beef with the beaten eggs and the pounded/ground spice-paste. Add the flat-leaved parsley and blend until smooth. Put 2-4 tbs of the meat mixture in the center of each leaf and fold them into rolls. Steam the rolls until they are done, around 30-45 minutes. Serve with a brown sauce. Sautee the shallots and garlic in the margarine until fragrant. Add the chopped tomatoes and continue frying until tomatoes are softened. Add the water/bouillon, sweet soy sauce, tomato ketchup, salt, pepper, nutmeg. Heat to boiling. Remove. Check out this delicious recipe for tahu telor petis.